Leading Manufacturer of mark up shankhpushpi sharbat plus, shitalam liquid, kafnorm syrup, raktashodhak syrup, virgoliv ayurvedic syrup and suhasini syrup from Ahmedabad. 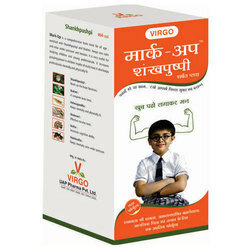 It improves higher mental fuctions, learning & concentration ability. Induces sound sleep, reduces anxiety, calms body & mind. It improves learning ability & grasping power in studying children. Keeps professional mentaly & physically fit inspite of work pressure. It is a complete brain tonic for any age. Reduces extra body heat and chances of sun - stroke. Controls excessive sweating from palms and soles. Excellent blood purifier, keeps skin healthy and shiny. Prevents from giddiness and headache caused by excess pitta. Kafnorm Syrup is the combination of mucolytic, anti-inflammatory, antitussive, expectorant, broncho-dilator and demulcent herbs. Kafnorm is very useful in all type of cough and other respiratory conditions. 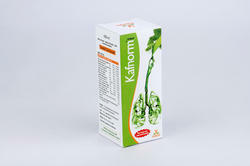 Kafnorm Syrup is herbal cough syrup and it effectively controls the productive as well as a dry cough. Soothes respiratory tract and reduces irritation. Clears obstruction in the respiratory tract and makes expectoration easy. Tone up lungs for long and easy breath. 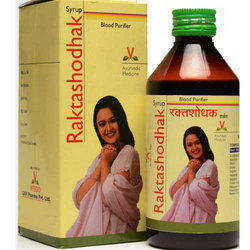 Rakstasodhak Syrup is a excellent Blood Purifier. It restores normalcy of skin and clears toxins. It improves quality of blood and check skin infections. Virgoliv Syrup is for liver diseases. It effectively corrects the liver profile. Protects liver cells from infections & toxins. Promotes regeneration of cells. Improves functional ability of liver. 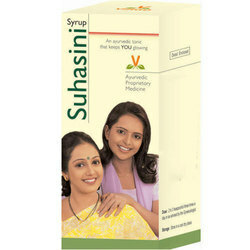 Suhasini syrup is Non - Hormonal Uterine Tonic. It isSingle solution for multiple problems. Time tested medicine for regulation of menstrul & ovarian cycle. Reduces premenstrual tension and associated symptoms. Very good pregnancy tonic, restores energy after labour. Reduces chances of abortion and helps conception. 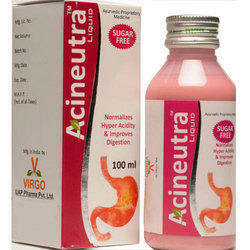 Acineutra Syrup is for Acidity. Antacids increase acidity but Acineutra normalizes hyperacidity. It normalizes excess acid in stomach & controls acid secretion. Prevents acid - reflux mechanism and rebound acidity. Reliveves pain, burning sensation and nausea. It helps heal gastric & duodenal ulcers. Has a soothing effect on GI tract. Its a sugar and menthol free. 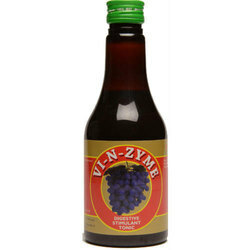 VI-N-Zyme Syrup is a Ayurvedic natural appetizer & digestive. It stimulates secreation of digestive enzymes. A very good appetizer and digestive.